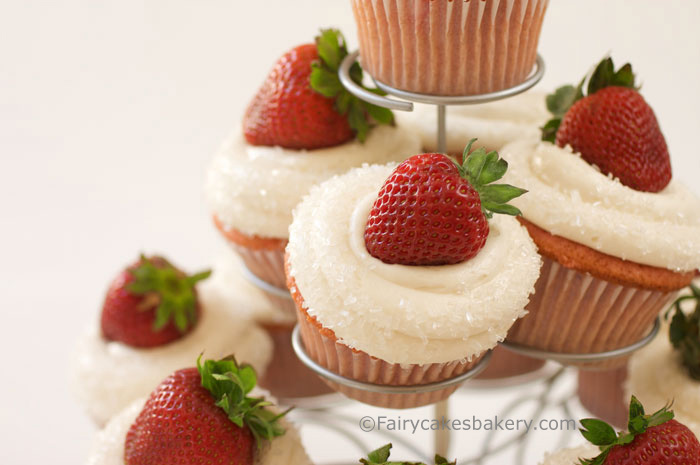 We've built Fairy Cakes Bakery on the belief that cupcakes should not only look amazing but also taste amazing. 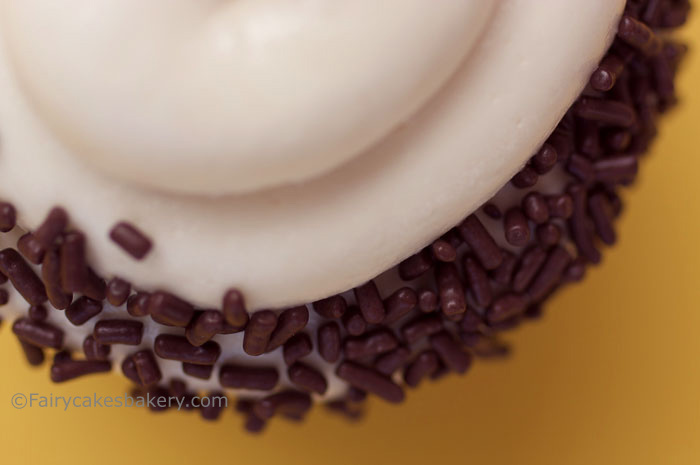 That's why we lovingly bake our cupcakes by hand from only the best ingredients, including real butter and real vanilla. 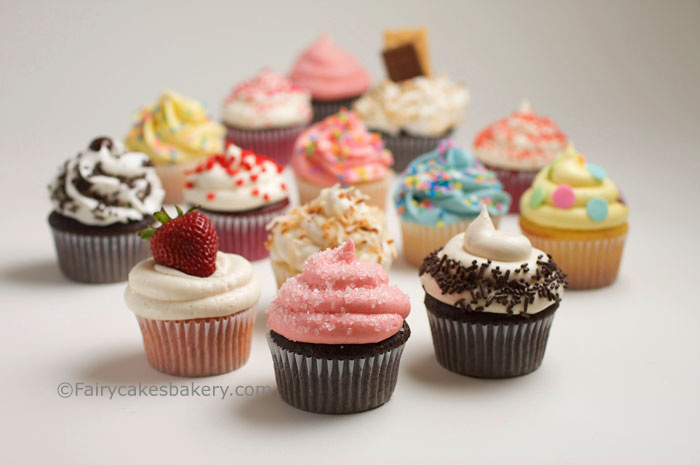 Each cupcake is made to order especially for you. 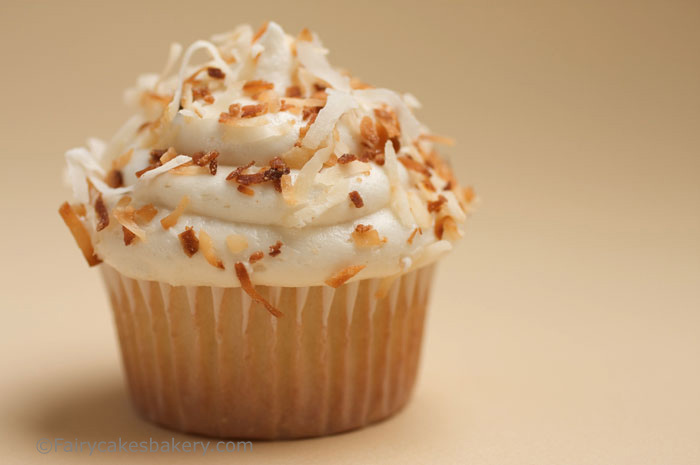 Call us today and we'll carefully package up a dozen of our delicious cupcakes to deliver right to your door. They're always a hit at any occasion or special event! 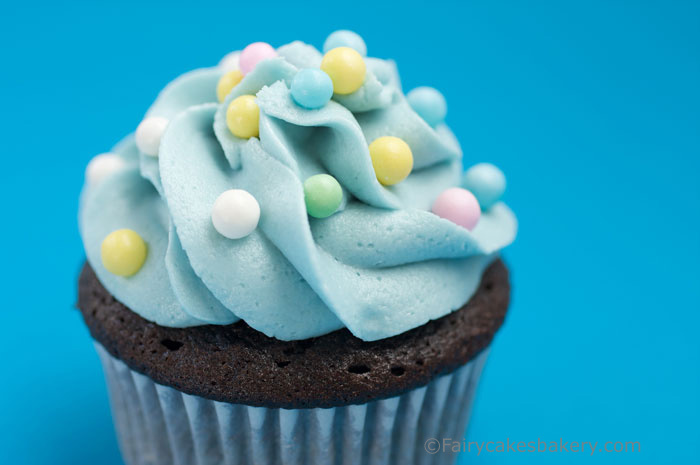 Our cupcakes are perfect for Weddings, Baby Showers, Birthday Parties, Business Meetings, Holidays, Graduations, and more! Why send flowers? Send cupcakes instead! 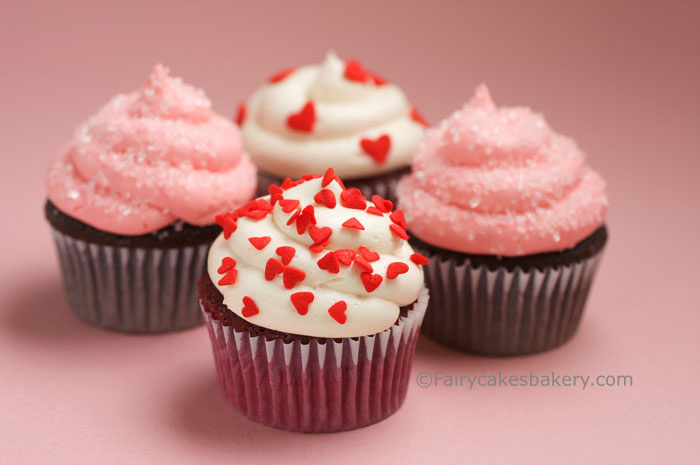 Why not send that someone special a dozen of our gourmet cupcakes? Our cupcakes make a unique and delicious gift. 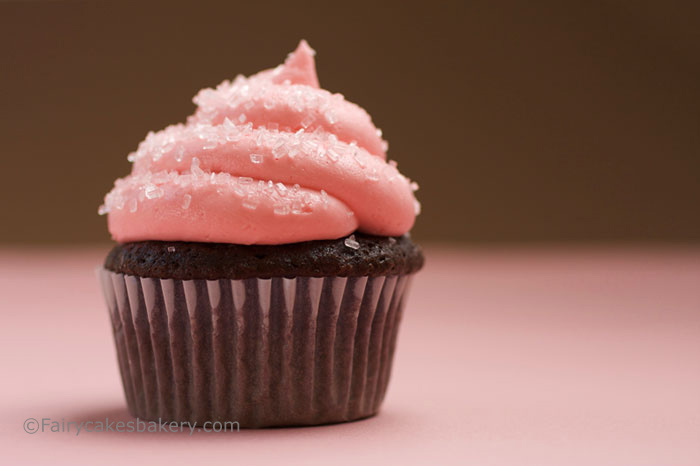 Imagine the look on their face when our courier presents them with a dozen gourmet cupcakes! Delivery is available in Orange County and parts of the Inland Empire. 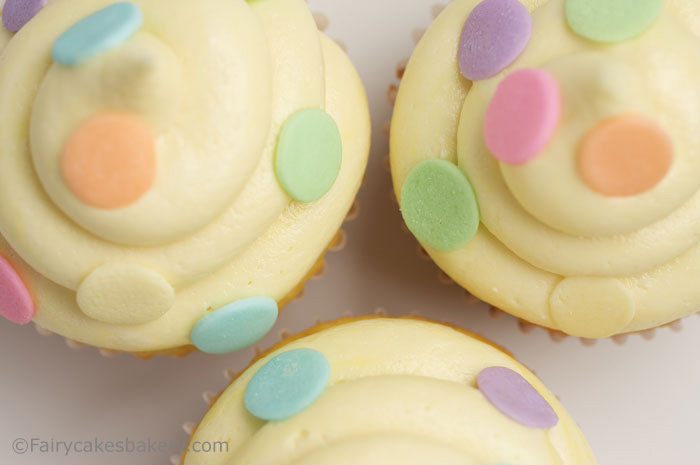 Minimum purchase of each flavor is 1 dozen (or 2 dozen Mini Cupcakes). 48-hour notice is required for all orders. 72-hour notice is required for all orders over 4 dozen. Orders may be cancelled up to 24 hours in advance. 50% of the order price is a non-refundable deposit to hold the date and time of the delivery. *Irish Cream, S'mores, and Churro are $5 extra. **S'mores Cupcakes are not available as mini cupcakes. Click on a featured photo below or visit our photo gallery!